We are providing OEM service to our customer, we develop die as per customer drawings and specification and supply to our customers. 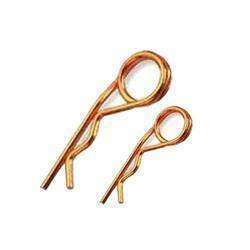 Our Brass Pin is made of RoHs material. Plastic Material we used is PBT 30%/GF. One of the main accessories of guitar parts, these guitar endpins are exquisitely carved from different types of wood including ebonywood, rosewood and boxwood. These pins are attached on the end of guitars to play the guitar properly and emit a melodious sound. These endpins are available in varying colors, shapes, sizes and designs to fulfill the demands of our esteemed clients.